This is the first planning effort undertaken by the town of Madisonville. This process was born out of a recognition that the town is undergoing a period of growth and development pressures. Sprawling suburban growth threatens to surround the town, especially to the west and north, resulting in increased traffic. There is development interest in Madisonville, but there has been a historic lack of guidance or vision. Furthermore, there are substantial flooding and environmental threats. 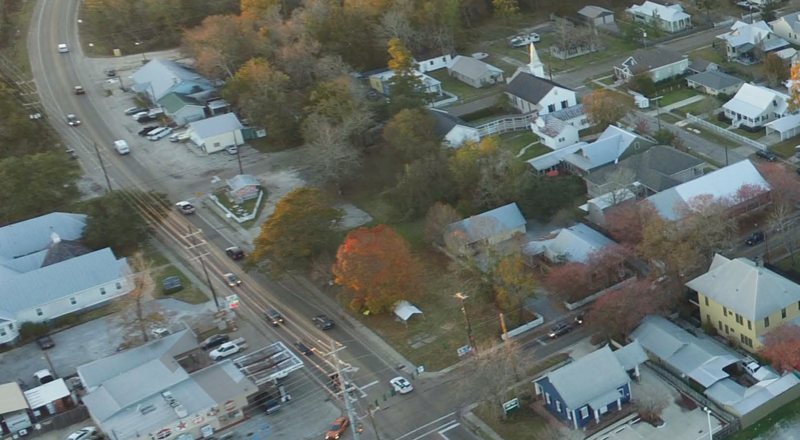 Madisonville is in the coastal zone; the entire town exists in the 100-year flood plain, and many properties are subject to powerful storm surge. The rising cost of insurance and elevating buildings threatens the viability of the community and complicates accessibility for an aging population while development sprawls out into sensitive wetland areas. This master planning process has required the Madisonville to rally around common goals that are at the heart of the community. Planning efforts like this one make the town more competitive for economic development and grants. Being proactive, rather than reactive, helps communities get back on their feet quicker in the wake of disaster, and it allows the town to direct growth rather than simply being the recipient of growth. Planning produces consistency and predictability, which leads to economic development and leverages public investment with private development. With this and future planning efforts, the town of Madisonville will help protect its resources and guide future development to build a vibrant, healthy community. You can DOWNLOAD THIS PLAN today!